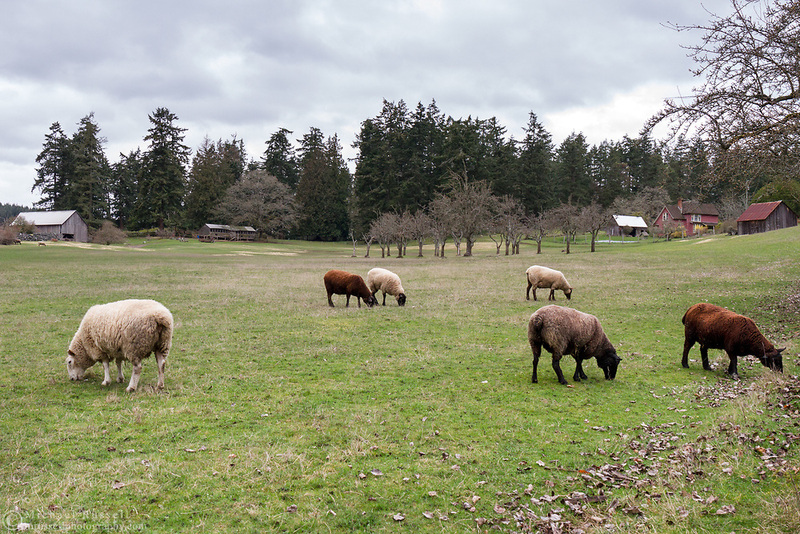 Sheep grazing in a field at Ruckle Farm. Photographed in Ruckle Provincial Park on Salt Spring Island, British Columbia, Canada. The farmhouse in the background was built by Daniel Henry Ruckle in 1907.